Drip is an email marketing automation software that allows small business owners to collect leads, automate email campaigns, and create workflows integrated with their other business platforms. Its features include email builders, multi-channel marketing, audience segmentation, and more. We compiled Drip user reviews from around the web and determined that it has generally positive ratings. We also shared its available pricing options. Users who gave Drip a positive review commended the app’s workflow automation features. Some of them also mentioned that the system integrates well with other software, including Zapier and Salesforce. Users who gave Drip a negative review complained about the limited customer support channels, being only available via chat or email. Some of them also cautioned new users of the initial learning curve. 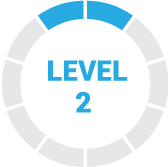 A user who left a positive review of Drip on G2 Crowd said that the automated workflows give him a broader understanding of the email sequence to improve his campaign activities. He also mentioned that it helps him map out their sales process more strategically. 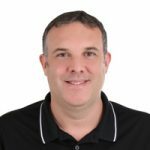 A user who left a negative review of Drip on G2 Crowd said that it took some time for him to figure out how to formulate email campaigns using the platform. He also mentioned that it was difficult to use the email builder features. Drip has a free option and three paid plans: Basic ($49/month), Pro ($99/month), and Enterprise (customized pricing). The main difference between the plans is the number of email subscribers per month. All plans come with unlimited number of emails, integrations, tracking, automation, and more. Best Email Marketing Software: Which One is Right for Your Business? — In this article, we looked at the top email marketing software picks: MailChimp, Constant Contact, and Drip. We compared them based on price, ease of use, quality of customer support, and other important factors. Does Drip offer a free trial? Yes. 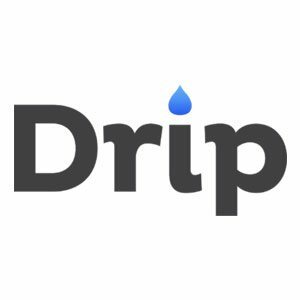 Interested users can sign up for a 14-day free trial on Drip’s website. How does Drip help users build and run their email campaigns? Drip enables users to create and send an unlimited number of emails. The software also allows them to set specific sending times for email campaigns to improve open rates. There are customizable templates available as well to help users get started with their email copy. How does Drip automate workflows? Drip offers visual workflows that are pre-made for automation. Users can customize these marketing workflows to adapt to their businesses. Not sure if Drip is the right fit for you? Read our reviews of all top email marketing software or check out one of these three Drip competitors. The team at Drip simplify complex processes into intuitive navigation and logical steps. When I have encountered an issue, the FAQs are easy to follow and understand. These things seem like no-brainer design inclusions, but I’ve found that in the case of email marketing software this is not usually the case. I was also impressed by how they handled the recent GDPR changes. Lots of relevant updates, well in time, clearly explained. Some of the blog post links that have been emailed to me have been very basic, but that could be a preference rather than a complaint. Can’t think of any real flaws. Nothing, only that I would like to have found them sooner, rather than overpaying for the same features at one competitor… Knocking myself out with a bad UI with another. Amazing customer support. Also, this is one of the rare email services that functions more like a CRM than just a newsletter delivery system. It provides advanced features for tagging and segmenting, in addition to an easy to use email template builder. There is a learning curve, particularly in learning how to set up workflows and rules properly, in order to make the best use of all the features and functions. Wish I had gone through more training on how to properly use tags/workflows before starting, as I had to redo a bunch of my tags after a year, upon realizing better ways to use the service. Drip’s visual workflow is one of the easiest to use and extremely powerful. Drip also integrates with a ton of other systems and tools, particularly in the realm of website personalization. That means you can leverage the information in Drip about your customers and leads and use it to improve your marketing throughout your entire marketing stack. Drip does not include a full CRM (yet). It’s not necessarily the ideal solution for B2B and other businesses that have longer sales cycles with multiple offline touch points. Although Drip calls itself an eCommerce CRM email marketing platform, not all eCommerce shopping carts will enjoy the same deep level of integration as Shopify or WooCommerce. Check the details of what information and custom events will and won’t be available for your cart within Drip before assuming it will meet all of your needs. The interface is easy to use and it offers a powerful set of features for newsletter and subscribers management that is based on tags. Drip is a simple, basic, and easy-to-use email platform. It is designed for those who want to get their email up and running quickly without the need for extensive design and engineering. They have great customer support and their pricing works well for small businesses or startups. Their bread-and-butter 7-day email courses with text-only had the best open rates my company has ever seen. Drip is not a super robust ESP that allows you to do anything with your emails. If you are looking for unlimited customization, this might not be the tool for you. The analytics are simple and not as thorough as other ESPs. We had some issues integrating with our data warehouse and tracking conversions was much harder than I anticipated without a developer.